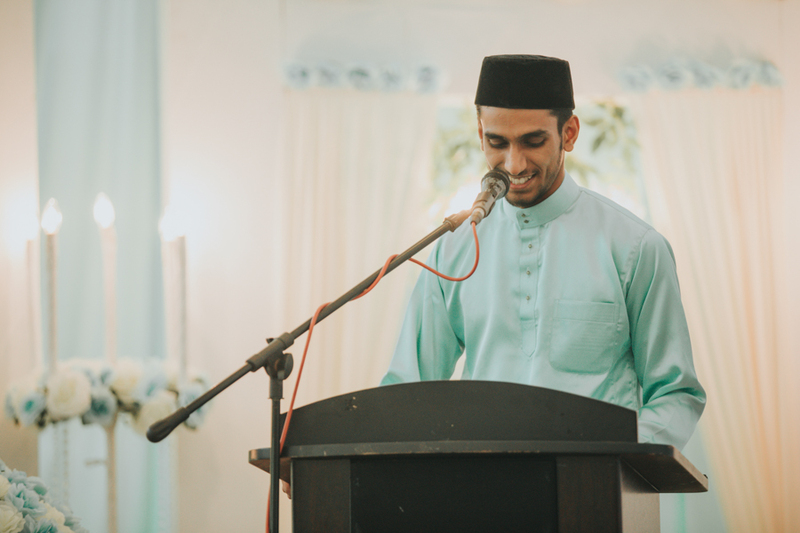 Malaysia is known for its diversity of cultures and languages. 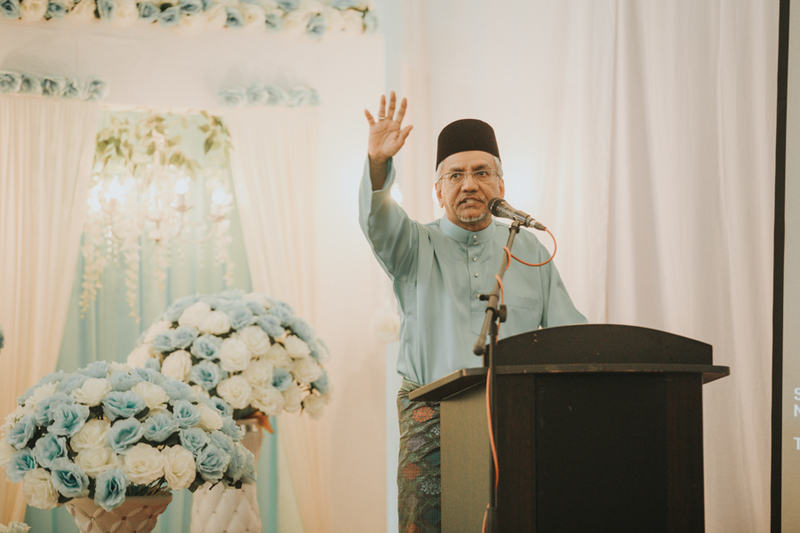 Without a doubt, it is something that has always been the pride and soul of each Malaysian. 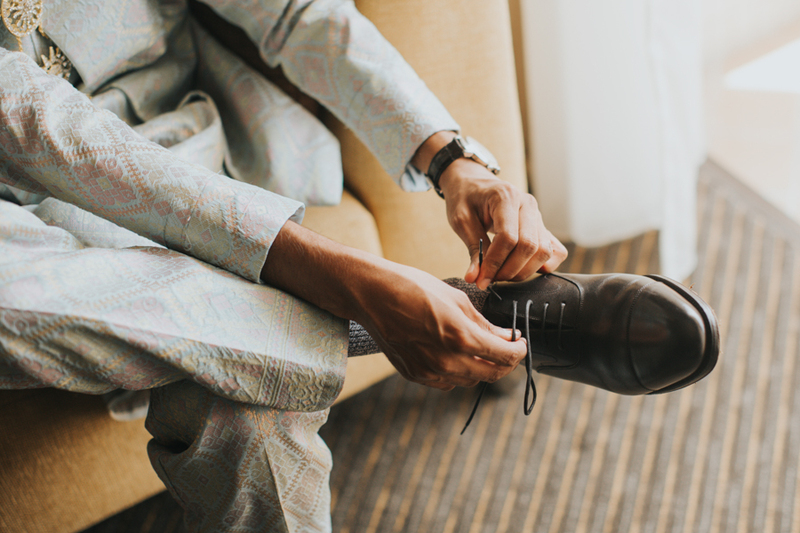 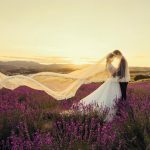 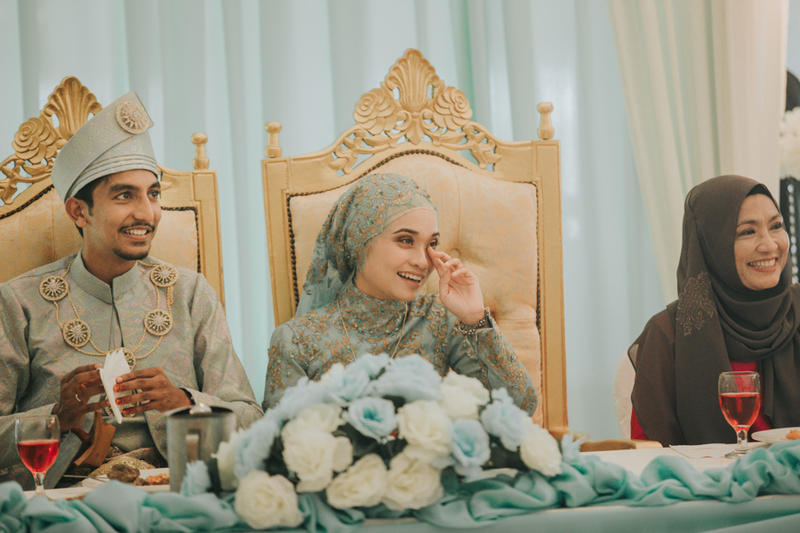 As a professional wedding photographer, it is definitely an exciting experience to be able to cover weddings from different cultures. 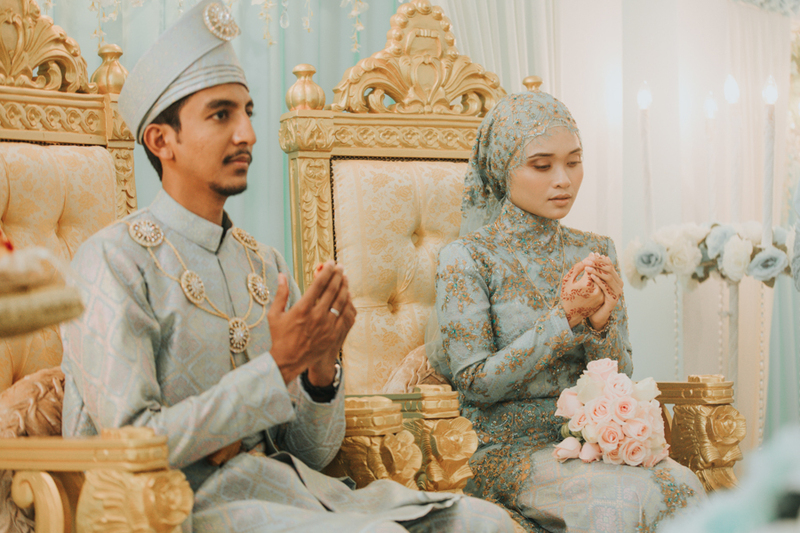 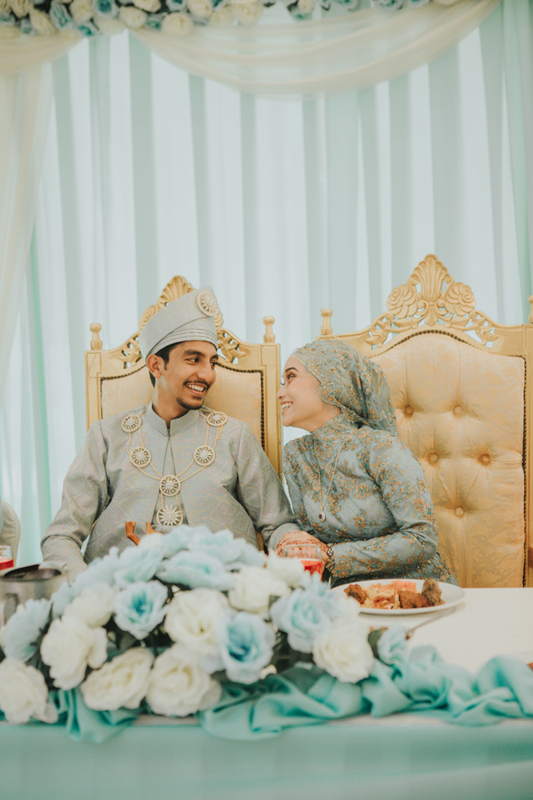 Our recent couple, Aizat and Eisya are of Malay decedents. 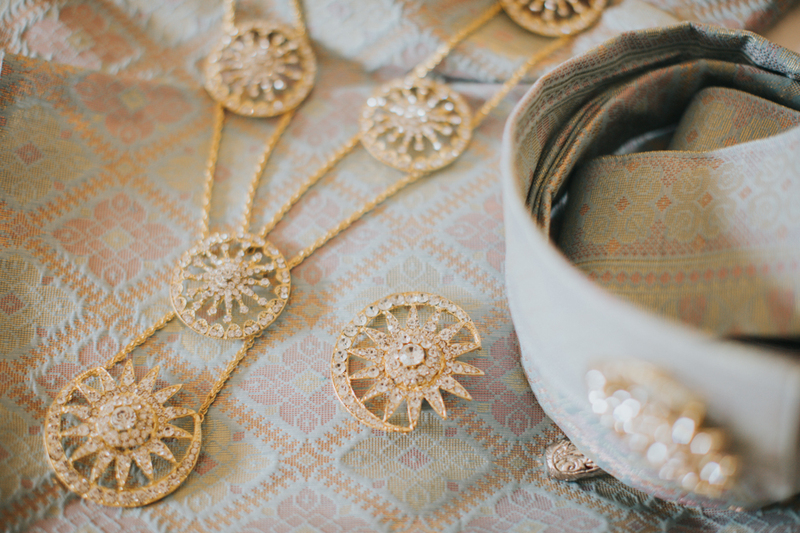 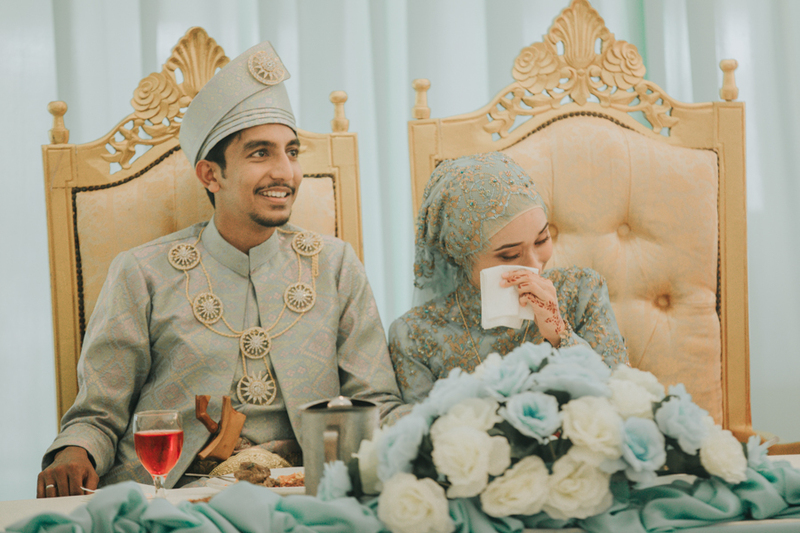 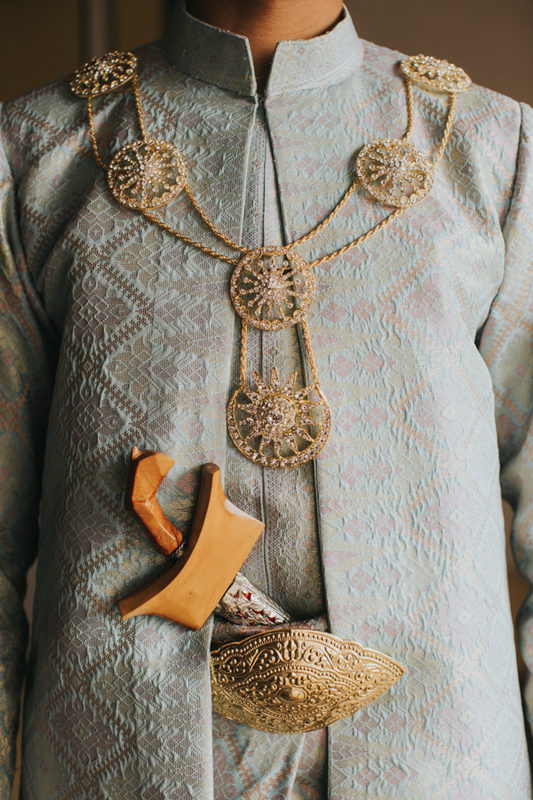 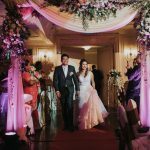 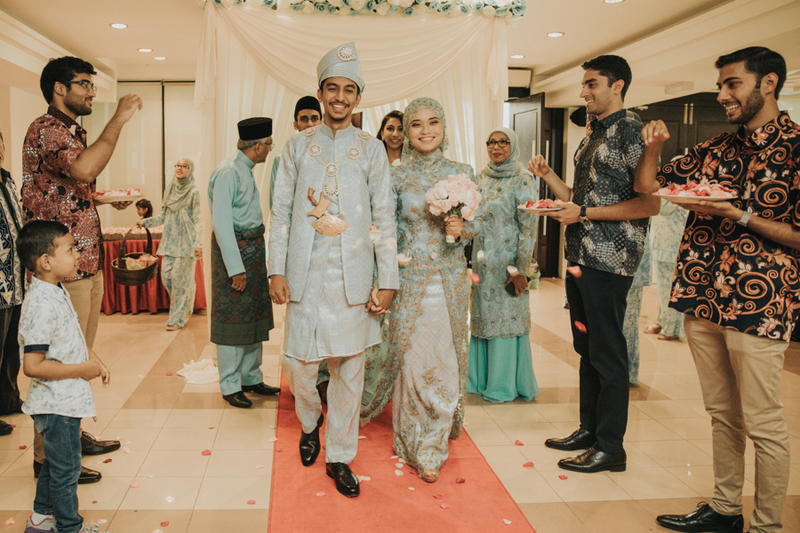 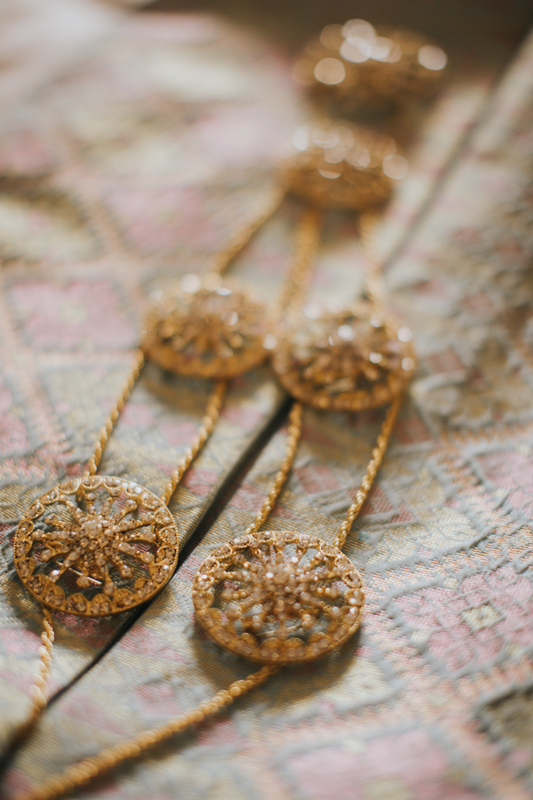 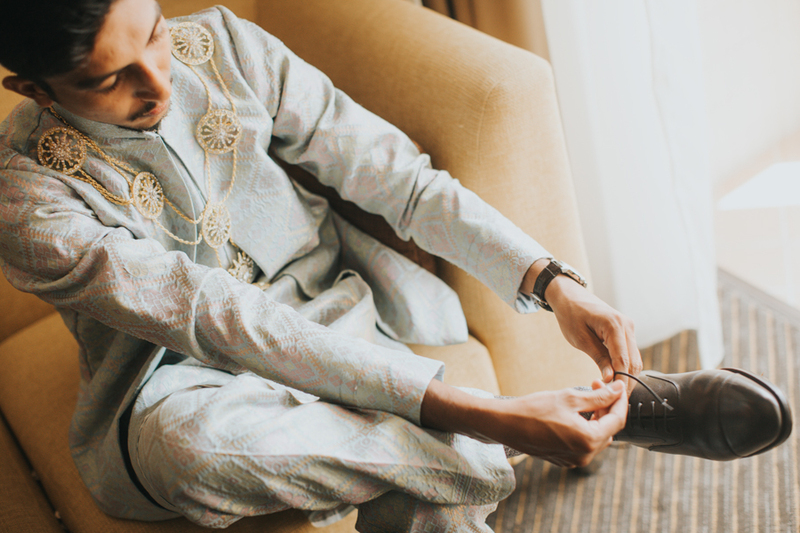 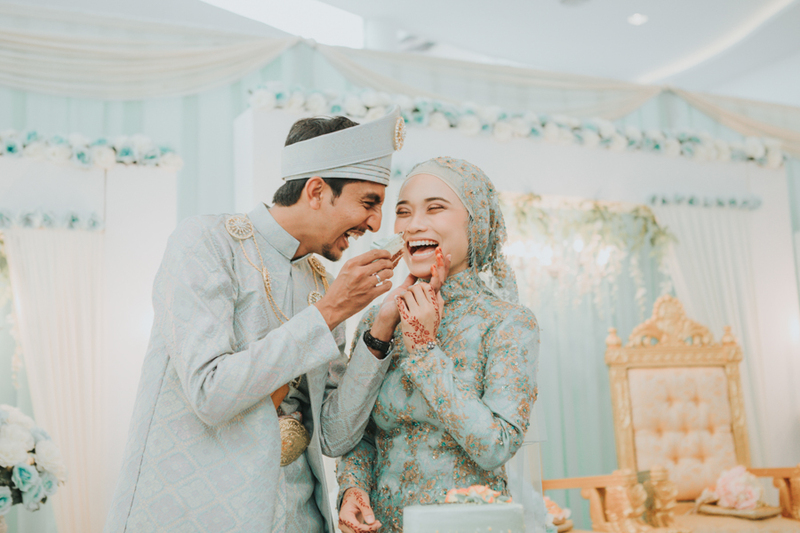 We are delighted to be their Malay Wedding Photographer Penang. 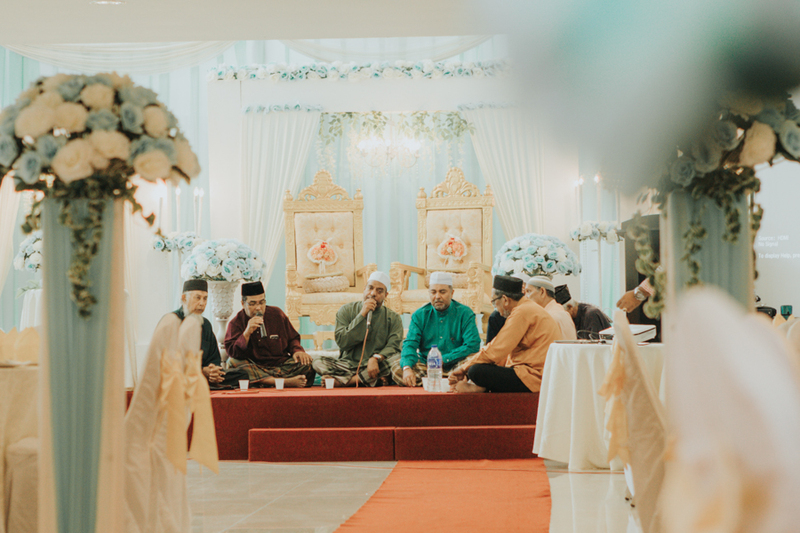 Part of the Malay wedding celeberations involves a Berinai ceremony. 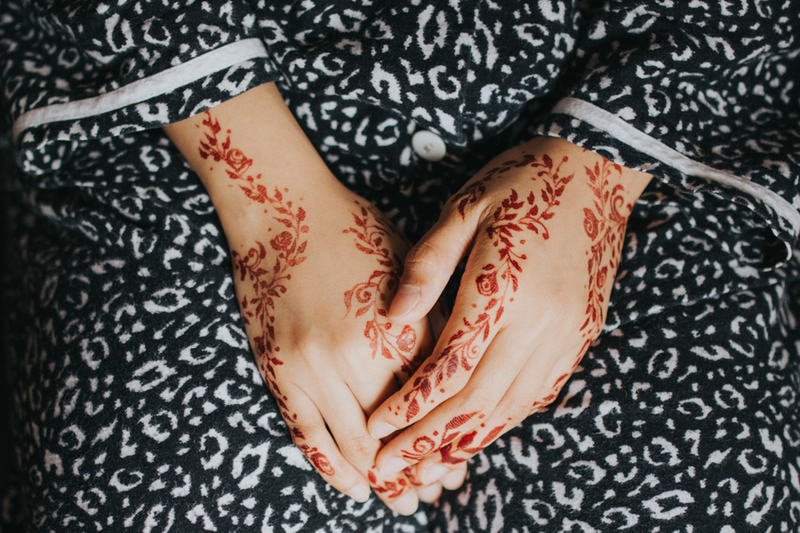 This entails the staining of Eisya’s hands with brownish red dye called henna. 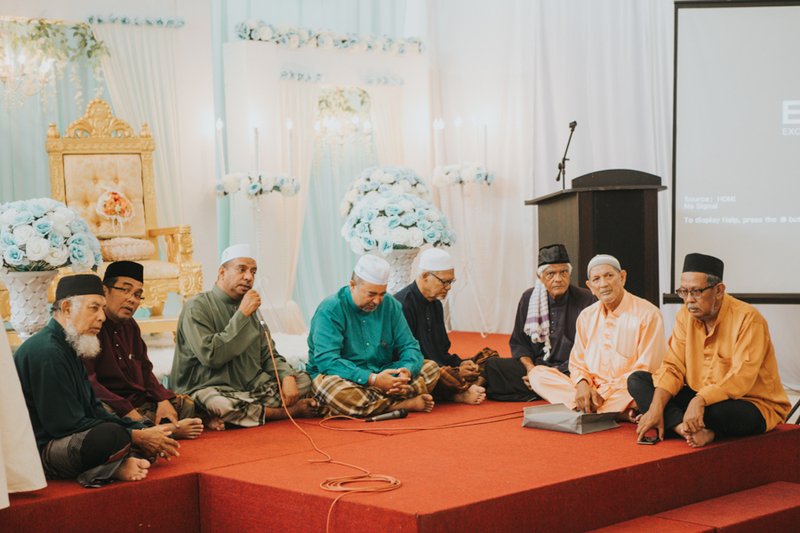 This ceremony usually takes place three nights before the wedding in the presence of close relatives and friends. 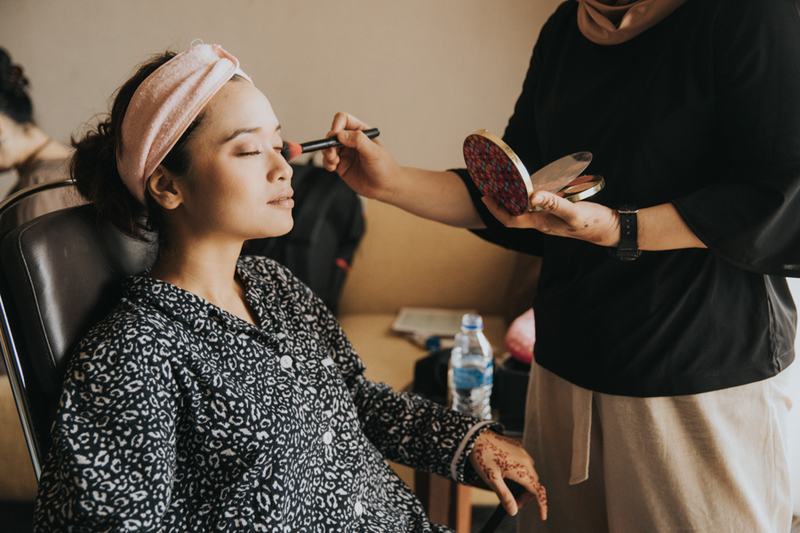 Henna is ceremony of blessing and is believed to cleanse and protect. 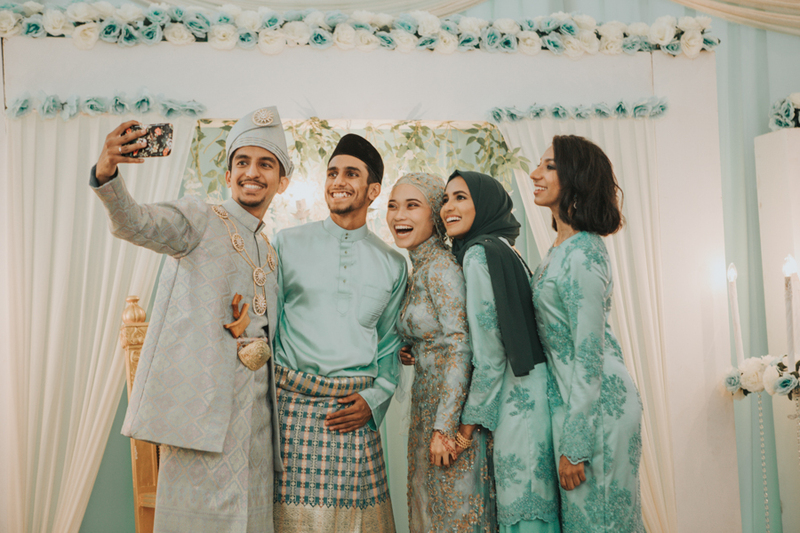 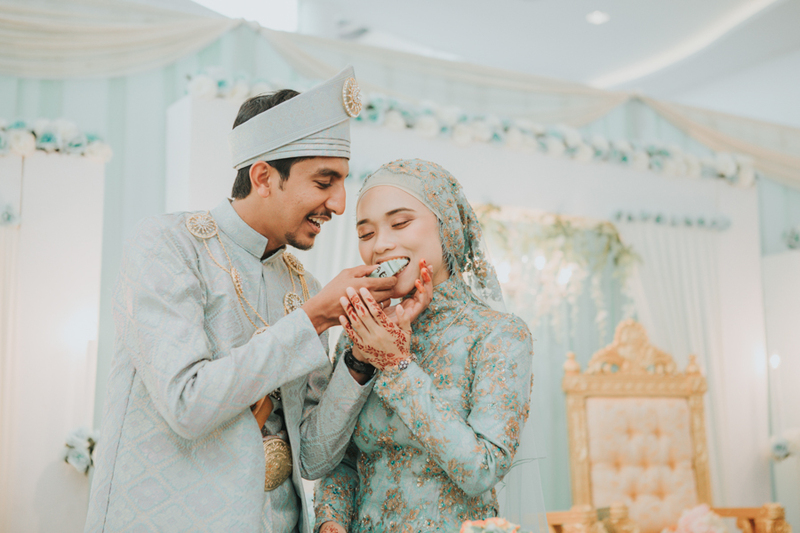 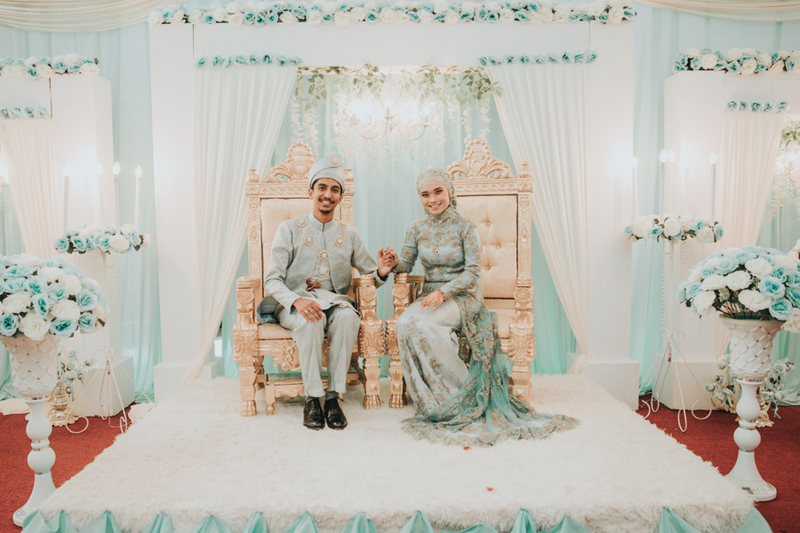 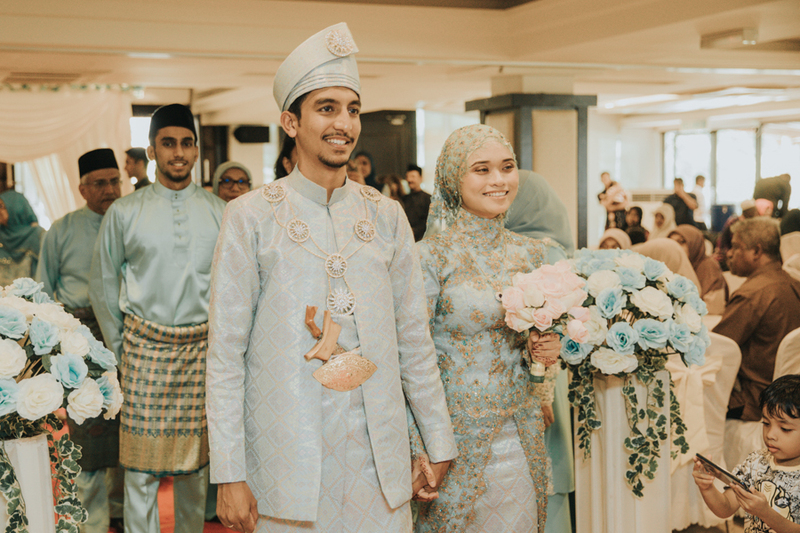 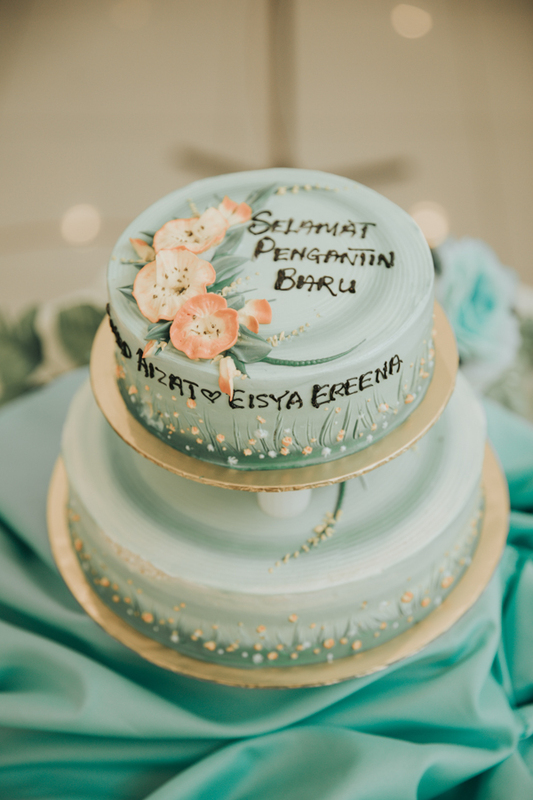 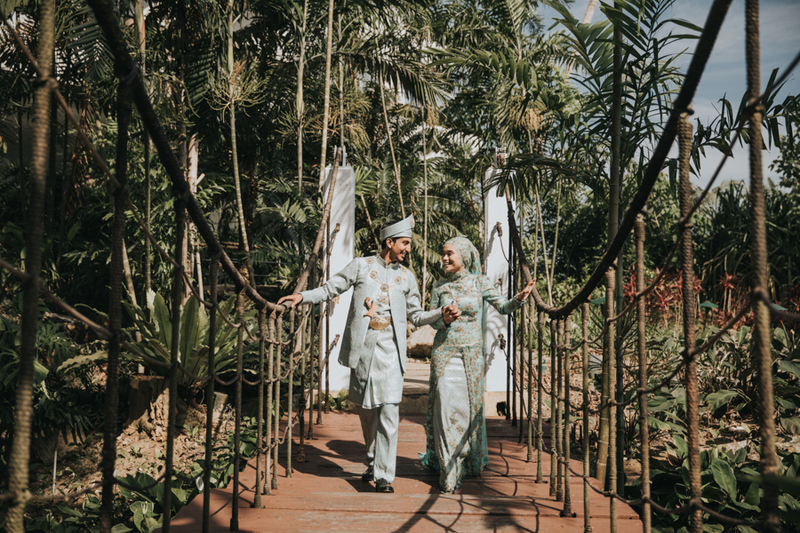 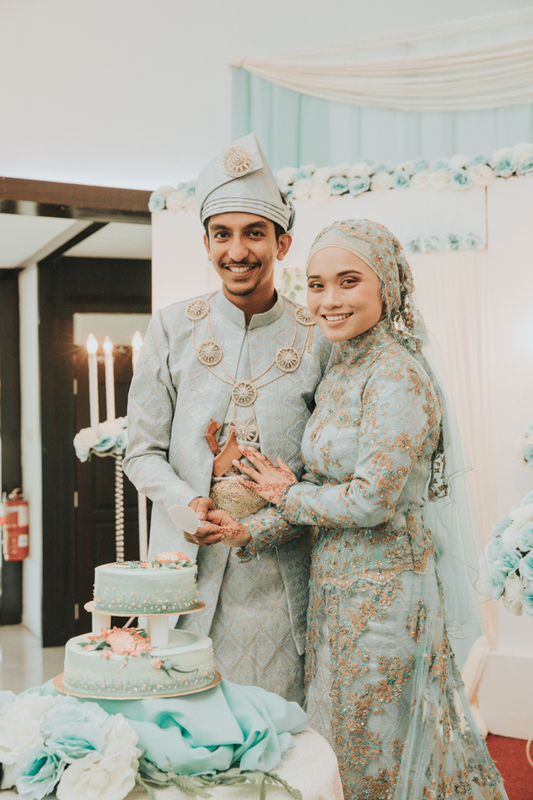 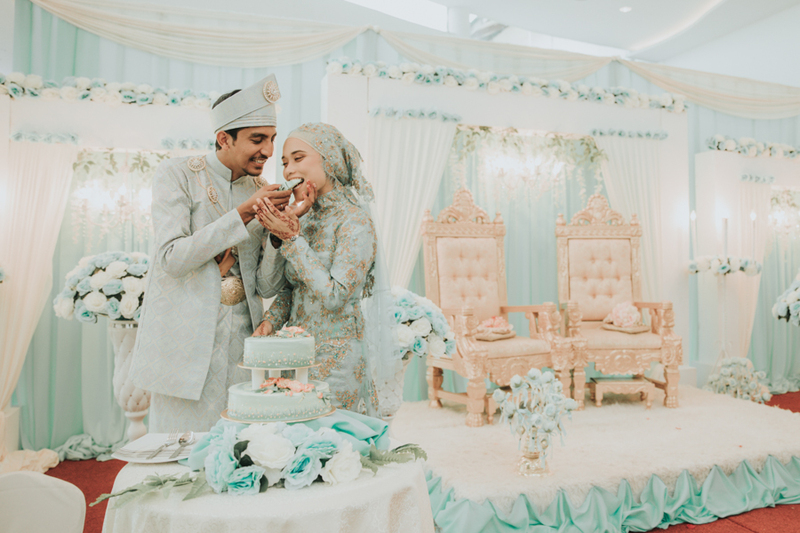 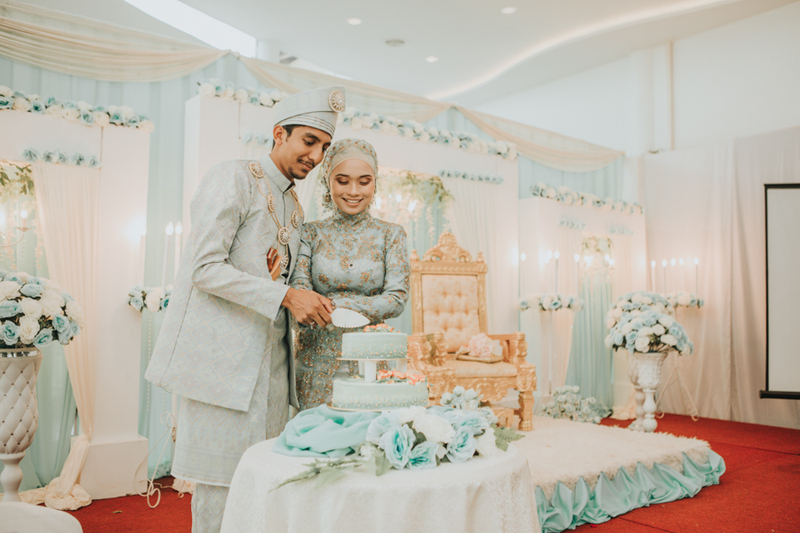 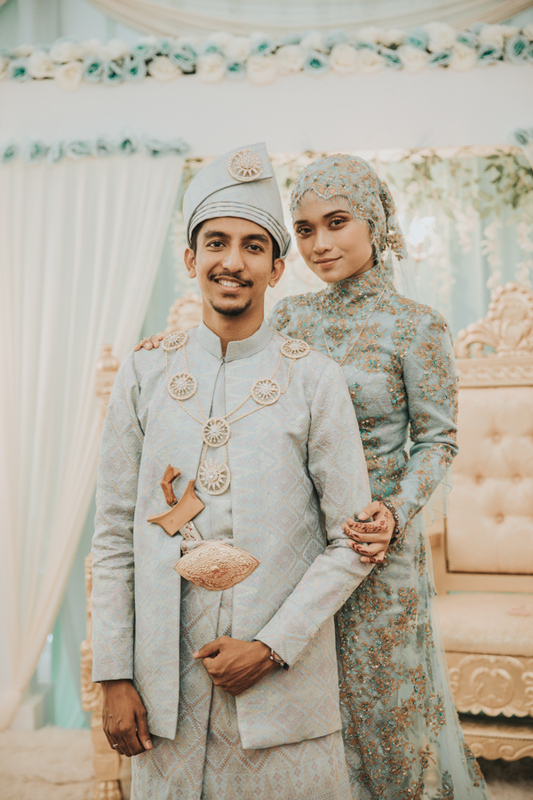 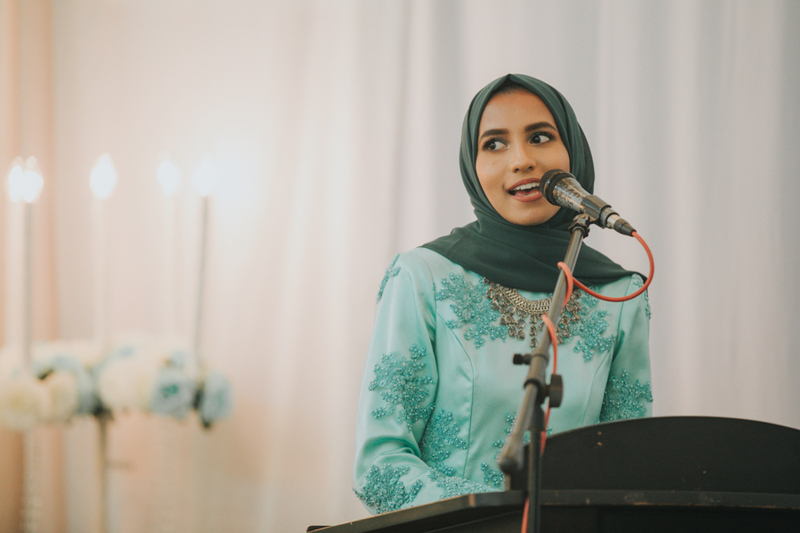 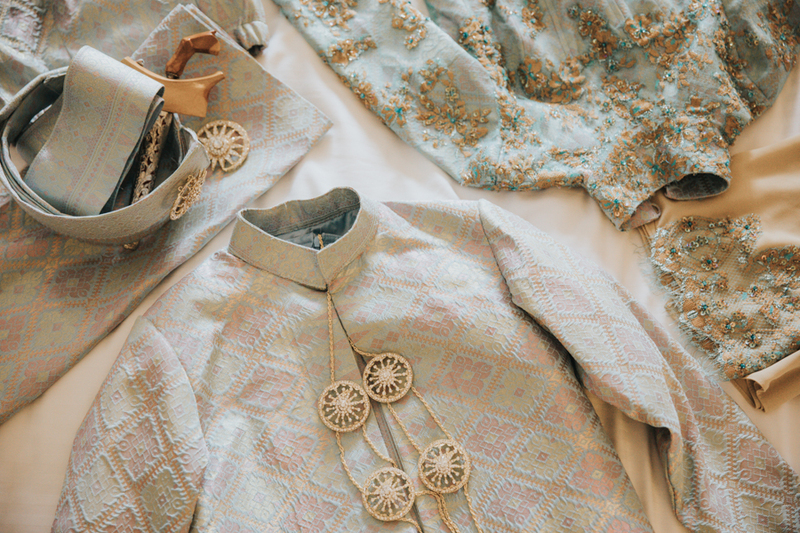 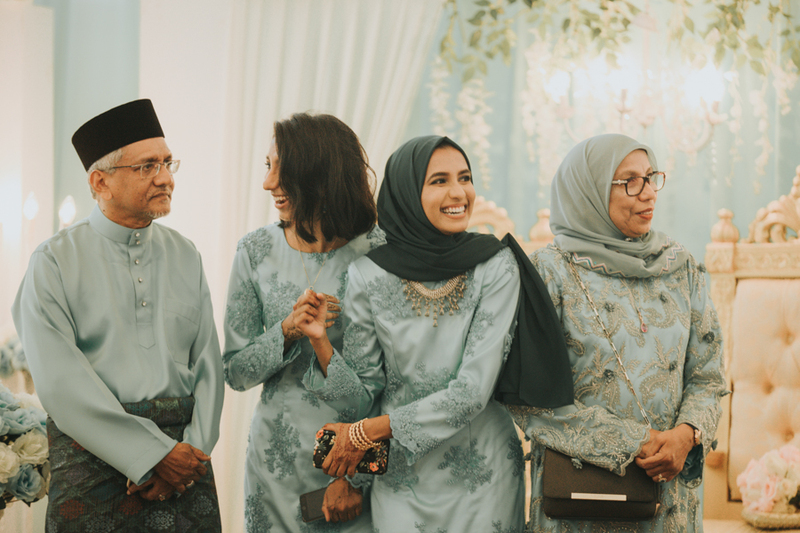 On Aizat and Eisya’s auspicous wedding day, the venue is beautifully decorated in pastel mint hues with touches of gold. 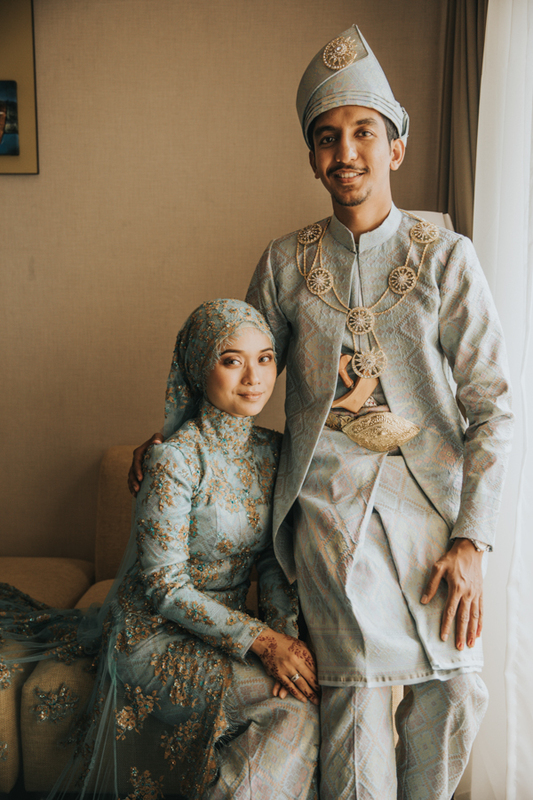 Eisya looks stunningly beautiful in her custom made Baju Kebaya with intricate lace and beading detailings. 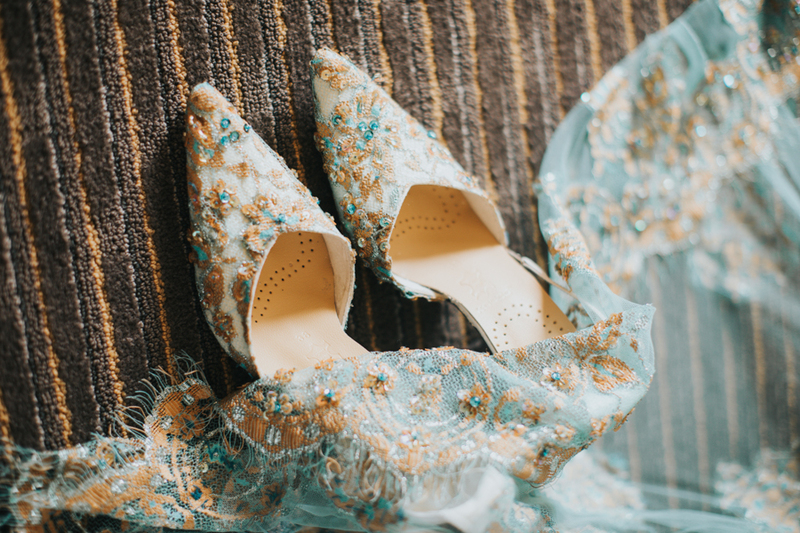 She even has a matching heels that is a mirror reflection of her wedding outfit’s detailings! 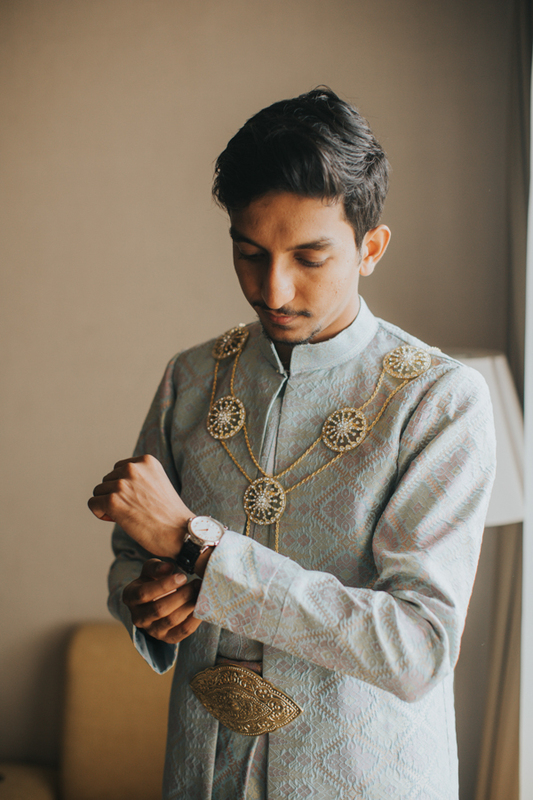 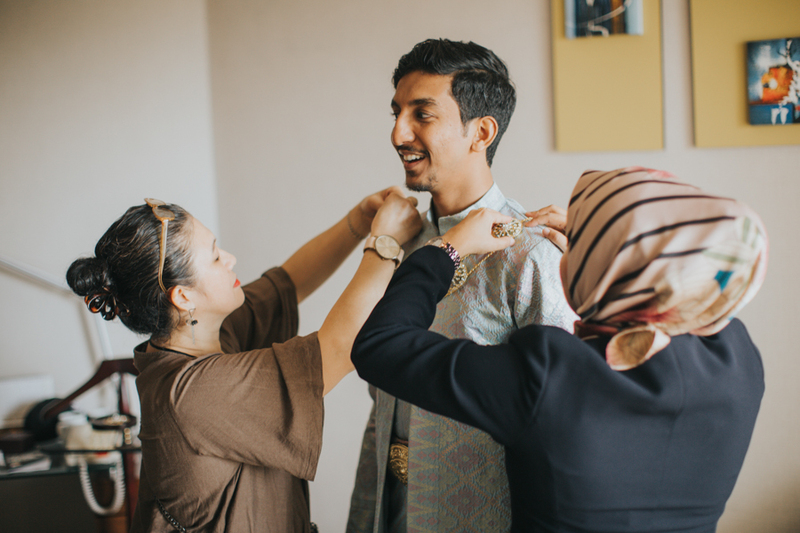 Aizat, on the other hand, looks charmingly handsome in his mint Baju Melayu with matching gold plated accessories. 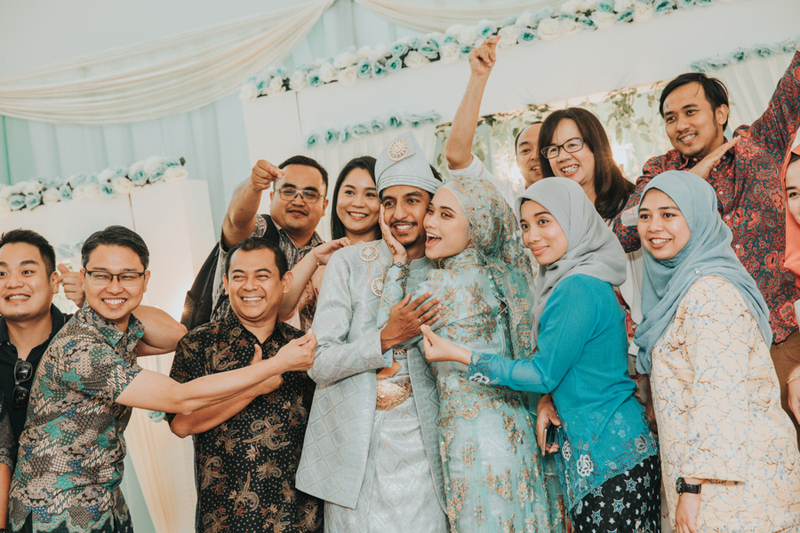 Every relative and friend who is present on that day shows such love, joy and support for the celebrated couple. 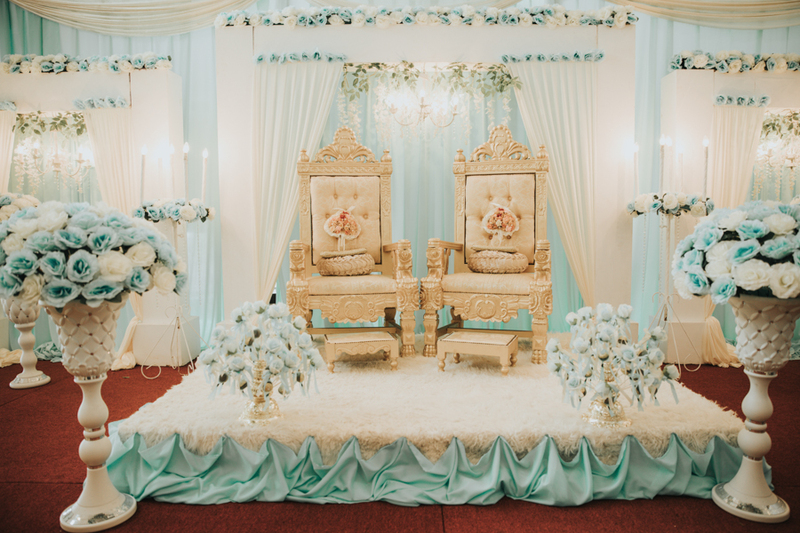 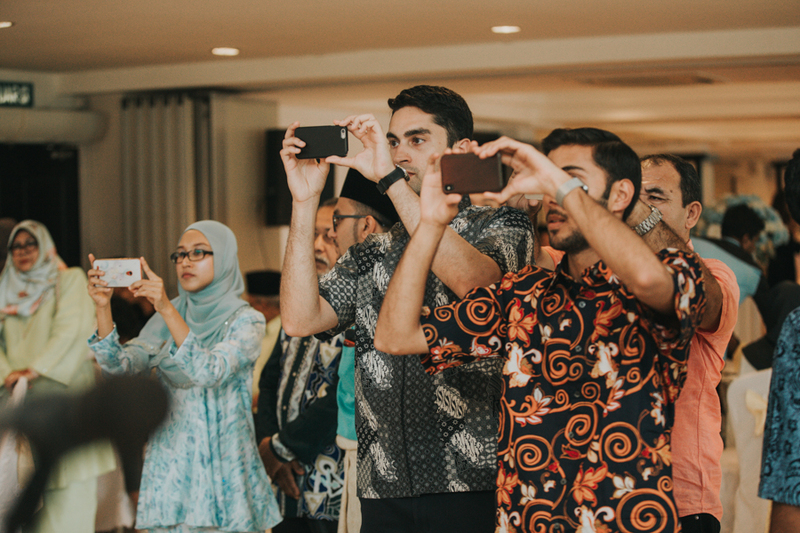 Everyone is in awe of the decorated pelamin which is a ceremonial seating on a platform for the couple. 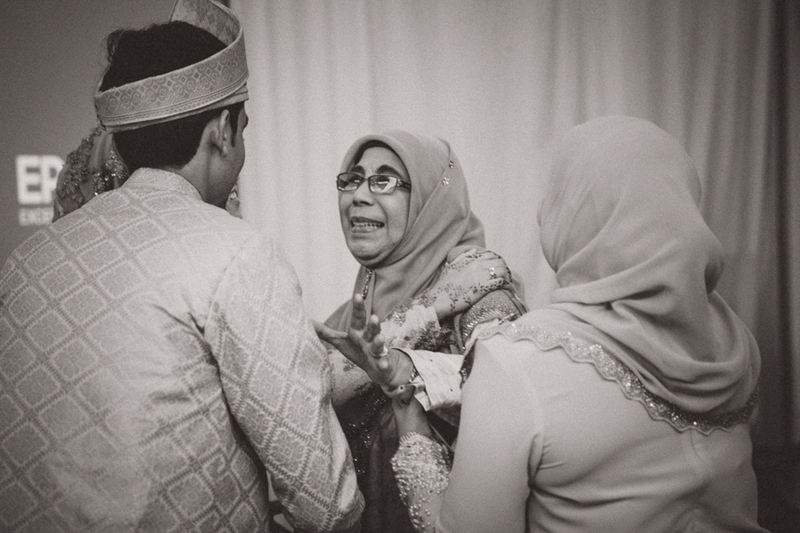 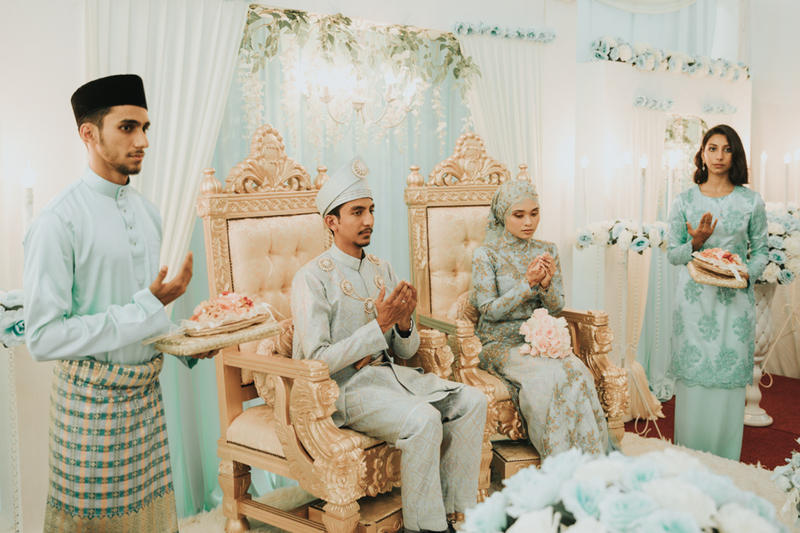 This ceremony is a high point in a Malay wedding and is known as bersanding. 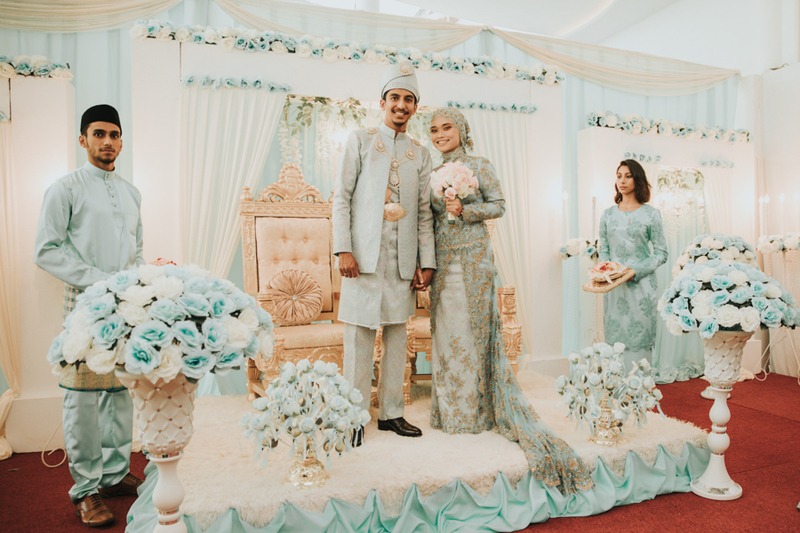 Everyone happily dons in different shades of mints and teals that blends well with the wedding color theme. 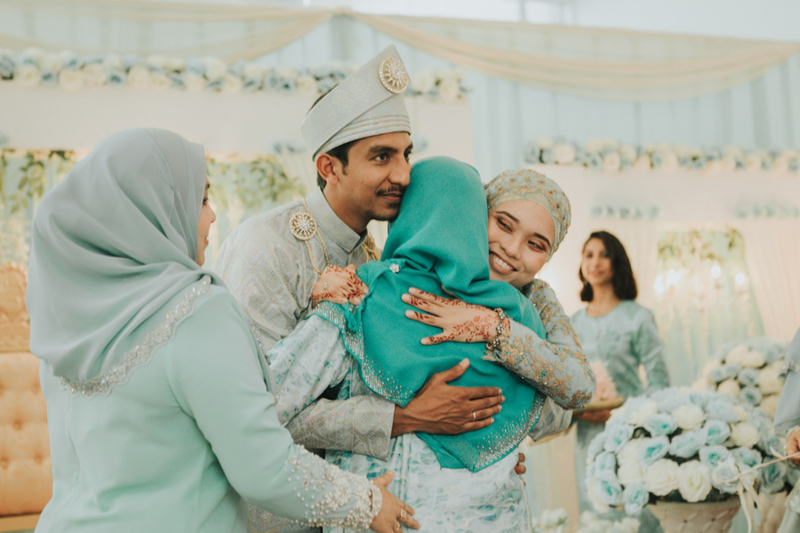 It is undeniable that Aizat and Eisya’s love and affection for each other leaves everyone in awe. 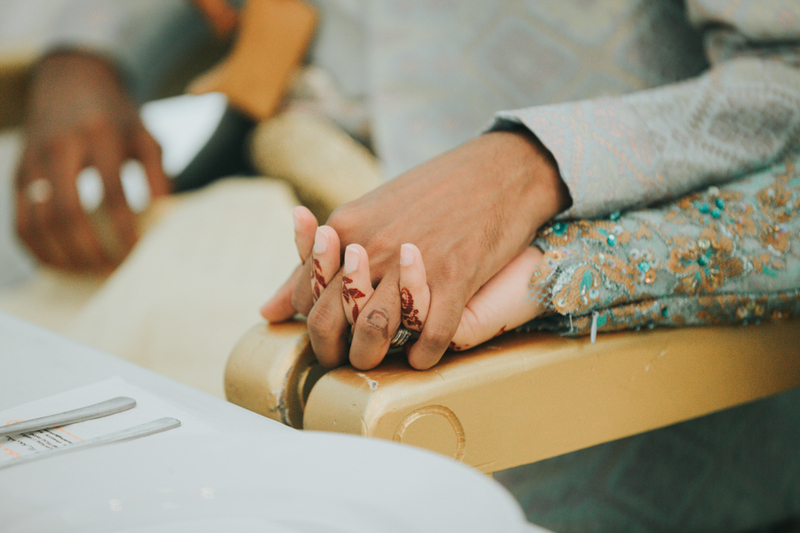 They are holding hands as they listen to the warmth and loving speeches from loved ones. 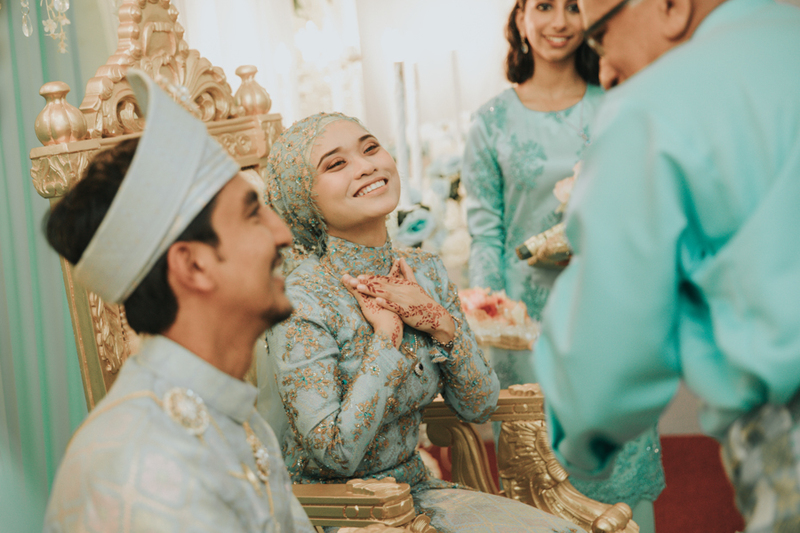 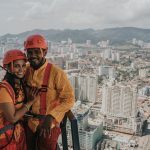 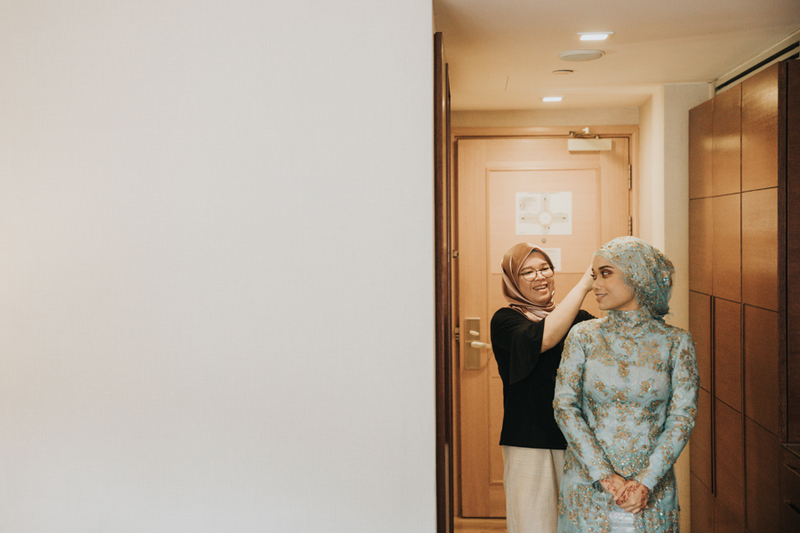 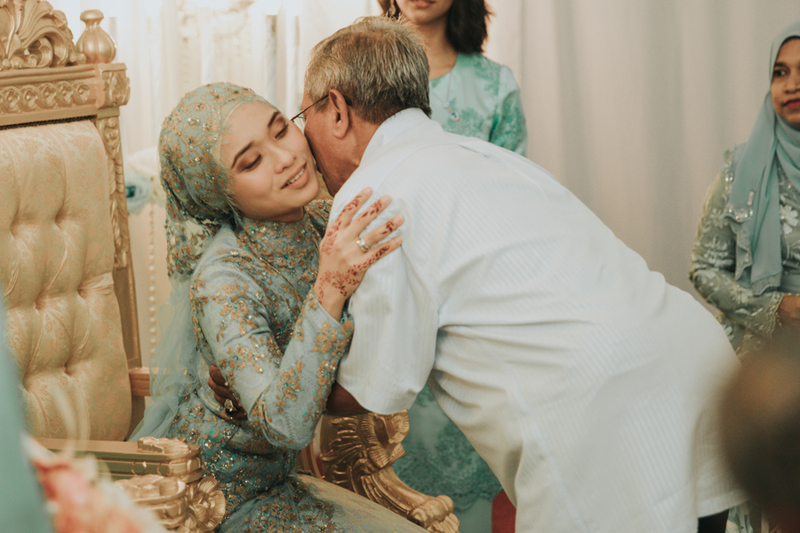 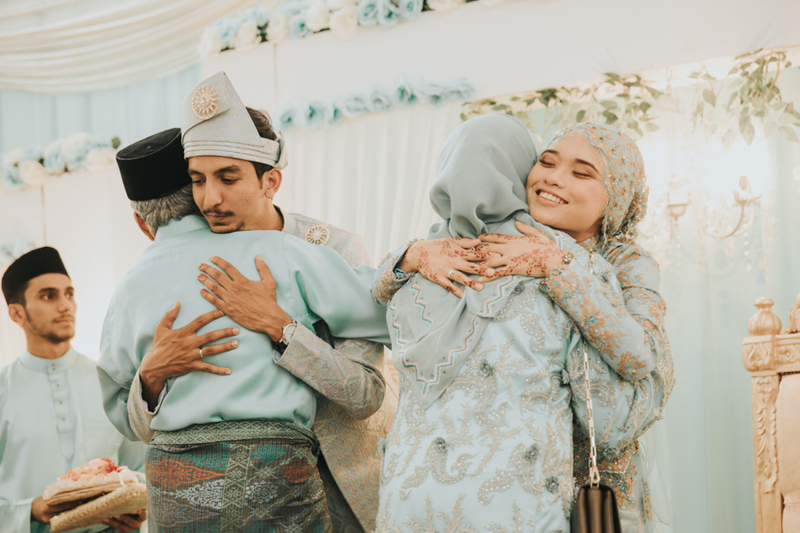 As their Malay Wedding Photographer Penang, it is a touching experience to be able to witness such joy and love!